We are a local Girl Scout Troop working on our WOW! Journey which is our Wonders Of Water Badges. 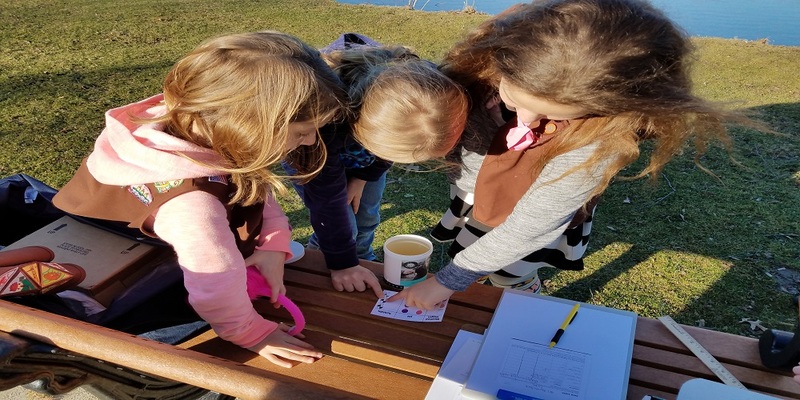 The girls needed to pick a community project to do, and they decided to test two large lakes in our city to see what may be in the water. The girls thought it would be interesting to know more about what is happening beneath the surface. They saw wildlife in and around the lakes they visited, and while they were there they picked up litter. We already go to Brunswick Lake a couple times a year to clean up the litter in and around the lake. We also maintain a memorial site that is located near the lake by pulling the weeds out and planting flowers. This year we have decided to plant a Sensory Garden at the memorial. The scouts enjoyed learning how to take the water temperature, turbidity, dissolved oxygen, and pH and contributing their data to the global EarthEcho Water Challenge database. Editor's Note: As one of our test kit donation recipients, we are grateful for the work of these young water conservationists and the participation of Girl Scout troops across the country taking action to protect water resources through the EarthEcho Water Challenge.